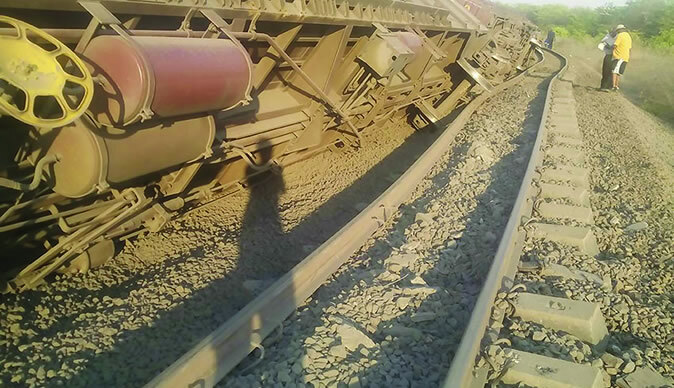 A goods train has derailed in Matetsi area in Hwange with no injuries reported so far as investigations continue on the exact cause of the derailment. National Railways of Zimbabwe (NRZ) Spokesperson, Nyasha Maravanyika said the four last wagons on the goods train derailed, adding that wagons were however detached for the train to proceed. Two trains were affected due to the derailment as the railway line was blocked. The NRZ recovery team from Thomson Junction is currently busy clearing the line. Calls have been made for investments towards the upgrading of the railway infrastructure as part of efforts to reduce cases of derailment. This comes as another goods train derailed in Beitbridge last week.